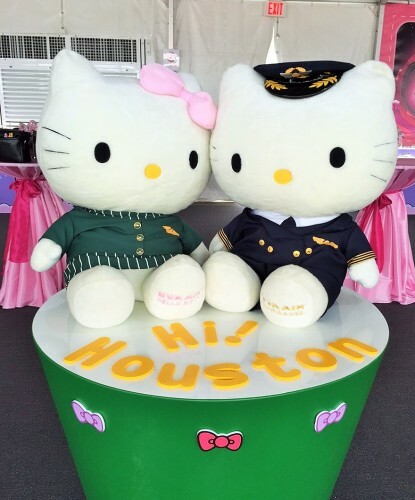 During the party held to welcome EVA Air’s new Hello Kitty-themed jet at Houston’s Bush Intercontinental Airport on Friday, a wide variety of Hello Kitty-themed items were on display. The food and toilet paper were designed to be used on board, but samples likely end up going home as souvenirs (which is probably why there are two rolls in the lavatories). But many other items are available for purchase only on Hello Kitty-themed flights.